We might be living longer, but that doesn’t always mean we’re living better. Worldwide, we’ve gained over 10 years of life expectancy since 1970. We’re dying less of infectious diseases and malnutrition, but more of heart disease, Alzheimer’s and cancer. That rise could be due to the increasing size of the older population in the U.S., greater diagnosis of diseases in their earlier stages, better reporting by physicians and fewer deaths from other causes among the elderly, such as heart disease, reports CNN. Such is both the upside and downside of living longer, which includes spending more time living with illness, too. So, the good news is that we’re living longer. But the bad, or potentially bad, is that some of these “bonus” years don’t necessarily mean enjoying good health and being able to make the most of them. 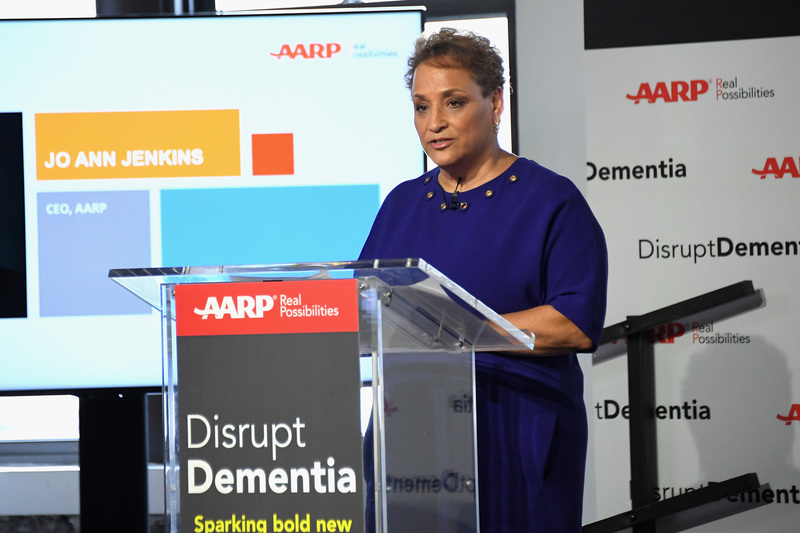 I attended an event last week to hear JoAnn Jenkins, CEO of AARP announce that AARP’s Brain Health Fund is investing $60M in the Dementia Discovery Fund (DDF) to kick-start its “disrupt dementia” program. The campaign’s aim is to discover new ways of diagnosing and treating dementia and Alzheimer’s disease. Currently there are more than six million people in the U.S. suffering from various types of dementia, including Alzheimer’s disease, and those numbers are climbing at a fast pace. Working alongside AARP is UnitedHealth Group and Quest Diagnostics, who have helped to bring the total amount of investment to $75 million. First, a brief primer: There are many different types of causes of dementia, an umbrella term for a set of symptoms which include impaired thinking and memory under which Alzheimer’s disease falls. But Alzheimer’s is not the only issue that can cause dementia: So can things like Huntington disease, Parkinson’s disease and Creutzfeldt-Jakob disease. There’s a desperate need more research and ways to both diagnose and treat dementia. Not only can I bet that almost every single one of us knows someone who has suffered through this disease, but there’s not been a new approved treatment for dementia in more than 15 years, whose numbers of people diagnosed are projected to climb to a staggering 16 million by the year 2050 – that’s about one in five Americans age 65 or older. Not only is the prevalence and suffering upsetting to patients and caregivers (there are 16 million family members and friends providing care them in the U.S. alone, who spent an estimated 18 billion hours of unpaid assistance last year), but so it is to physicians as well, who are frustrated by the limited tools available to treat and diagnose their patients. 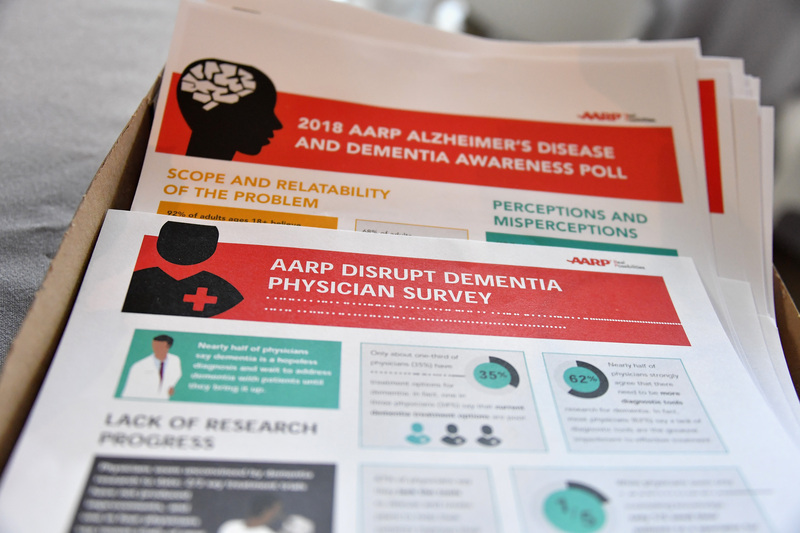 Most physicians find a lack of diagnostic tools to be the greatest impediment, as well as frustration in offering their patients effective treatment, found the new AARP survey. One in three said the current treatment options are poor, with just 10 percent expressing any optimism about effective treatment protocols emerging in the next five years. Jane Krakowski, who was interviewed by Katie Couric, shared her experience watching her father suffer with early-onset vascular dementia, a form of the disease caused by impaired blood flow to the brain, for over 10 years before losing his life to the disease in his late 70s. The fact that there was no clear diagnosis – which took five years to make – added to her family’s stress and heartache, she said. She shared her experiences as a caregiver with us, and how difficult it was “to watch the disappearance of your loved one day in and day out.” When she cried recalling the years spent watching him suffer, it was hard not to cry, too. Dementia is so complex, as is each individual’s biology. And so are the possible causes and contributors which may include genetics, the environment, the role of estrogen, high blood pressure, diabetes, obesity, processed foods and even technology. A frightening fact is that dementia starts 20-30 years before a person even experiences symptoms. Wellness is the main prevention strategy, but it’s clearly not enough. Things like exercise, brain teasers, learning new skills can all contribute to helping to keep our minds strong and healthy, but more is clearly needed. “Because we have so far to go with this disease, I wanted to get out and talk about it,” Krakowski told the audience (it was the first time she has publicly spoken about her father’s dementia and death). “Hopefully, the next generation will not have to live through this long and painful process of losing a loved one,” she shared. It’s normal to worry about Alzheimer’s and dementia. 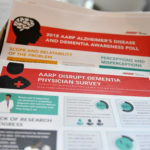 Three quarters of adults surveyed believe that memory loss is a normal part of aging, found AARP, who says it’s also normal for aging adults to forget a name or date – which is typically recalled later. What’s not normal is to forget where you live, or driving to a familiar location, for example. 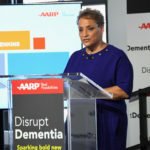 Thanks for bringing attention to AARP’s efforts to disrupt! My dad and grandma both had Alzheimer’s. I am a huge proponent of living your best life now and not waiting or dreaming of “retirement” to do the things that blow your hair back. I realize that enjoying a traditional retirement is a privilege indeed. In such a large percentage of folks health or finances just don’t line up. Best to all. This is really great news to dementia patients! Useful article! The life expectancy of a person with dementia depends on the type of dementia they are diagnosed with, their age and health. Most studies seem to show that the average number of years someone will live with dementia after being diagnosed is around ten years. Dementia stem cells treatment can recover this diseases easily!